To purchase Ubisoft games in Origin, you have to head over to Origin Store to search for the game you are looking for. 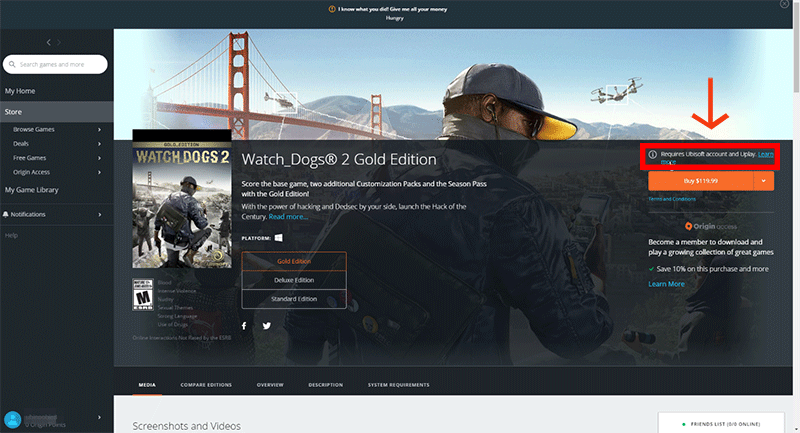 If Uplay is needed for a game, Origin is going to let you know while you are buying the game. 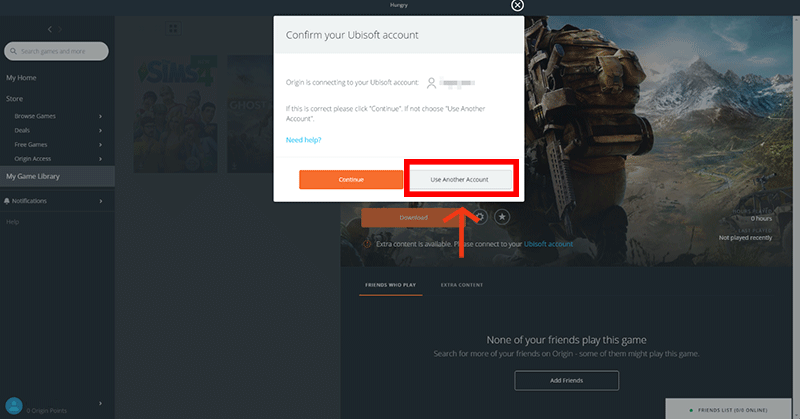 If you want to play your Ubisoft games via Origin, you have to connect to your Ubisoft account. You will need connect to your Ubisoft account for every Ubisoft purchase you make that needs Uplay. You have to make sure that you are logging in to the correct Ubisoft account where you have all of your Ubisoft games. You are going to be asked to confirm the account you are logging in with. If it is not the right account you can click on the “Use Another Account” to log into a different one. After the game has been purchased by you, you have to go to your Game Library. You are going to be asked to link to your Ubisoft account before you can download the game. Log in with your correct Ubisoft account, download the game, and you will be ready to play. If you don’t already have an account with Ubisoft, you can set one up when you are connecting. Just click the “I don’t have a Ubisoft account” button. When you purchase Downloadable Content for your Ubisoft games on Origin, you have to download it in Uplay. You will be allowed to do this after you have connected to your Ubisoft account. You can’t download the game or link to your Ubisoft account until the release date. ← How to create a child EA account?